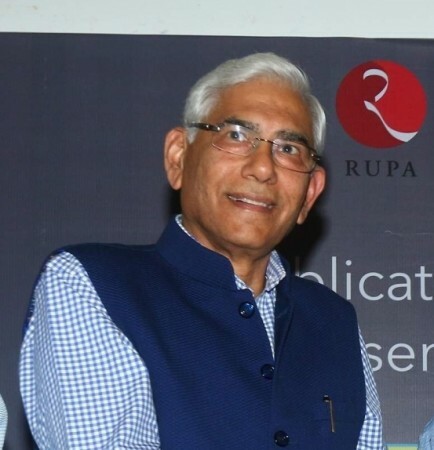 Terming the verdict by the CBI court in the 2G spectrum case as "a slap" on the face of the BJP and others who "exploited it politically", the Shiv Sena on Saturday targeted the original whistle blower, ex-Comptroller & Auditor General (CAG) Vinod Rai. Questioning Rai's motives in "creating" the 2G so-called scam, the Sena said "He's not a torch bearer of truth and now his entire role in the issue is mired in suspicion." "This man (Rai) went to help out some political party which had vested interests, but now he stands thoroughly exposed. It's clear that he has misused his 'official position' and he must be made to explain," the Sena demanded in a stern edit in the party mouthpieces, 'Saamana' and 'Dopahar Ka Saamana'. Rai had discovered through his "research" that the 2G spectrum allocation decision "was the biggest scam ever in world history" and pegged it at a presumptive loss of Rs 1.76 lakh crore to the country, perpetrated during the tenure of former Prime Minister Manmohan Singh, which led to India's image getting tarnished globally. Attacking the Bharatiya Janata Party - its ruling ally in Maharashtra and the Centre - the Sena said "the BJP exploited it inside and outside Parliament", and sought to create an aura all over India that the BJP was the "maha avatar" of the legendary King Harishchandra, who is said to have never uttered an untruth. The then UPA government acted in the matter by ejecting the then Telecom Minister A. Raja, and 19 politicians and industrialists, including Raja and his DMK party colleague Kanimozhi, were sent to jail, a parliamentary committee was set up to investigate the scam and the matter went to the courts. Now, after so many years, the CBI Special Court has termed the entire so-called scam as a "fake, mythical legend", and rapped the CBI and other investigators and the prosecution in the case for failing to produce "any evidence". "The BJP had danced with Rai on their heads... First, the UPA government was shocked by the 2G scam expose, now the BJP has been left stunned by the court verdict.. but Rai is having fun," the Sena said. The BJP had alleged in Parliament that Raja had minted crores of rupees from the 2G scam and stashed it in foreign banks, but now as the ruling party, it has failed to bring it (the money) back, it added. On the BJP's comments that "the Congress is treating it (the verdict) as a certificate", the Sena dismissively said this was "no defence" of its past actions. "If CAG and the Supreme Court are to be believed, there was a massive scam, but it is also a fact that the Special CBI Court has exonerated all the accused as 'innocent'. If there was indeed a scam, how are the accused let off? If there was no scam, then whey did the accused spend months in jail? If they were 'innocent' then who committed the scam? It's the responsibility of the incumbent government to answer these questions," asked the Sena. The BJP levelled many allegations against the UPA in the 2G case, and Prime Minister Narendra Modi even accused ex-PM Manmohan Singh of conspiring with Pakistan to win the Gujarat elections. "However, when it comes to providing any evidences on such allegations, they have none... This only reinforces the belief that politicians are liars and nobody should heed them," the Sena declared.